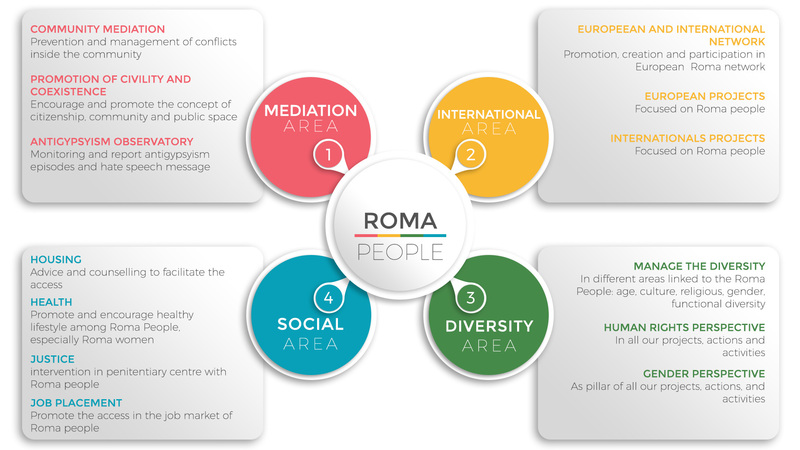 of actions addressed to the Roma Community, gathering their aspirations and worries, building bridges between Roma and non-Roma. and project which promotes the coexistence between non Roma and Roma community. of Catalonia in order to become stronger and more representative, developing a common action plan among Roma associations. the Roma language, history, and culture. Challenge Romaphobia, xenophobia and all kind of racism. “Punto Òmnia” is a service to promote TIC use among the population. Free and open to everybody, Punto Òmnia is a public space with computers within an expert in new technologies. FAGIC manage the Punt Òmnia Gao Kaló in Gràcia of Barcelona. From 2016 FAGIC has an agreement with the City Council of Sant Adrià del Besós. The agreement consists in the promotion of civility in the neighbourhood of La Mina, spreading the content of the local ordinance “Civility and good neighbour”. Moving from this project, we have developed good practices that we hope to apply in another neighbourhood soon. FAGIC has an agreement with TRAM to prevent and reduce uncivil behaviours inside the transport facilities of TRAM. Thanks to our year of experience in the field of mediation we achieved optimum result and the agreement have been renewing for 2017-2018.